With its DT wheels and Shimano 105 drivetrain, this bike's truly Elite spec helps you make the most of this year’s radically upgraded Specialized Allez. This is obviously a personal thing but don't you agree this is one of the best looking bikes you've ever seen? 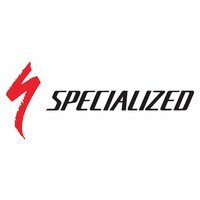 Specialized have been building Allez road bikes since the mid-1980s. From the start, Specialized Allez road bikes have been admired for their build quality and value for money. We in turn have been championing the Allez longer than any other road bike model, so we can safely say that the Allez has introduced more of our customers to the thrill and delights of road biking than any other model. All the upgrades described above makes us confident that there has never been a better time to opt for an Allez. Discerning riders exist at all levels and our goal with the all-new Allez was to build the best alloy road bike, regardless of price point. We began by focusing on building a frameset that's lightweight and Win-Tunnel-proven, and then we completed the build with high-end components, like Specialized tyres with Gripton® and Body Geometry saddles. And while these things are expected in bikes that cost thousands, the Allez makes these technologies accessible to everyone. We've been refining our alloy construction for years, and the use of our E5 alloy allows aggressive butting profiles that save weight and improve ride quality. In fact, this new Allez frameset features a 450-gram weight reduction. The Allez's new frame also takes a large amount of inspiration from its carbon brother, the Tarmac, so it features a tapered head tube and dropped seatstays. And even if razor sharp performance may not be the first thing on your mind, you'll feel it instinctively when you're on the bike. Features like the dropped seatstays came as a result of our engineers' daily trips to the Win Tunnel, and they offer an aero benefit that's proven to be faster. But to create the perfect ride, we also addressed predictability and confidence with a tapered head tube that aids in creating a ride quality unlike anything in this class. We also made sure to focus on features that you'd expect to find in high-end bikes, but are often forgotten when manufacturers are cutting costs. This means that the Allez has full internal cable routing to keep a clean aesthetic for the rider, plus it's easy for mechanics to work on with the inclusion of large cable stops. The new Allez features a brand new, full carbon fibre fork that's derived from the Tarmac. And with a full carbon steerer tube, we're able to substantially reduce weight while also providing a stiffer, more precise, and better handling front end. Additionally, without the additional junction between a carbon crown and alloy steerer tube, we can tune the ride quality of the bike to provide a smoother and more comfortable ride. The Allez rider might not know that the correct number of bikes for a cyclist is N+1, where (N) equals the number of bikes one currently owns. For this reason, it's important that the Allez takes into consideration all the uses they might have. A Body Geometry saddle provides a supportive place to sit, and shallow drop handlebars keep the brake/shifters easily within reach. Lastly, we've adjusted the Allez geometry with a slightly taller head tube been paired with bit longer wheel base to be more forgiving for up and coming riders. It also ensures that handling is predictable and stable regardless, of what the pavement is like.